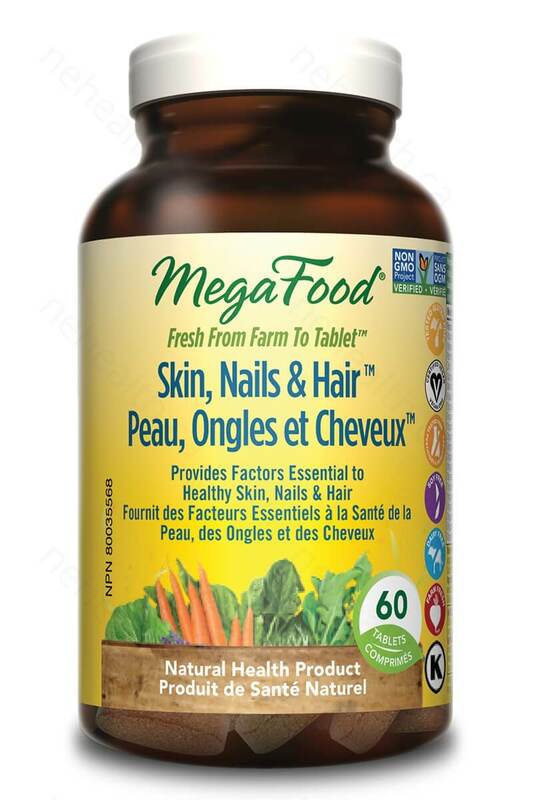 MegaFood Skin, Nails & Hair promotions a healthy glow and radiant beauty from within. 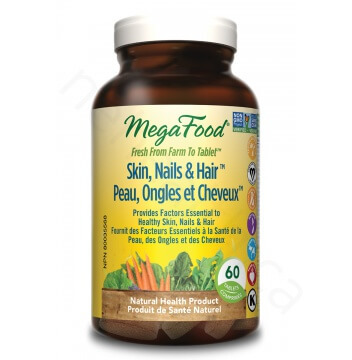 Mineral-rich herbs and FoodState Nutrients strengthen and nourish hair and nails. Hormone balancing and purifying herbs promote clear and radiant skin plus healthy hair. Non-medicinal ingredients: Farm Fresh Fruit Blend (fruit phenolic phytonutrients from organic blueberry, organic cranberry and organic orange), Organic Brown Rice, Cellulose (protective coating), Silica, and Vegetable Lubricant. Adults take 3 tablets per day.